The swath of recent NY music club closings – Market Hotel, Santos Party House, Coco66 – claimed another venue this week. The biggest arena in town, in fact. But don’t worry; it opens back up tonight, which is more than we can be assured for the others. 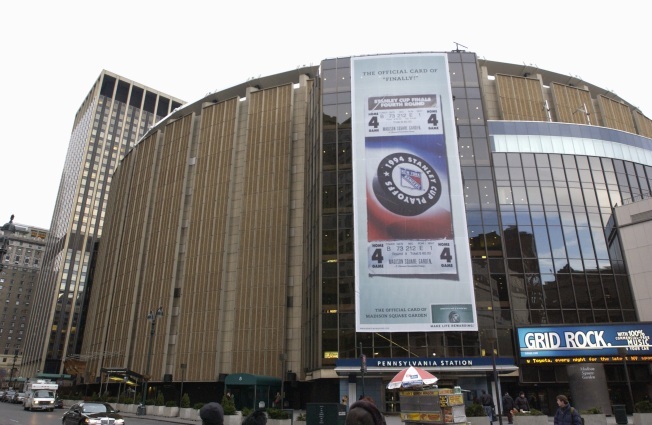 Following last night’s Rangers game, during overnight maintenance of Madison Square Garden, which included cleaning asbestos-related materials in the attic above the ceiling, some debris fell into the Arena. Out of an abundance of caution, and after consulting the NBA, we are postponing tonight’s Knicks v. Magic game. We will be working with the city and independent experts, ATC Associates and GCI Environmental Advisory, to evaluate and determine the most appropriate course of action. As the safety of our customers and employees are our top priority, we will not reopen the Garden until we are absolutely assured the Arena is safe. Tonight’s Knicks vs. Washington Wizards game will continue as scheduled. So what does this mean to music fans? Well, if you had tickets to see Roger Waters blare out The Wall tomorrow night, your life will continue apace. And, clearly, we should all take a minute to pray to Bono for asbestos safety.